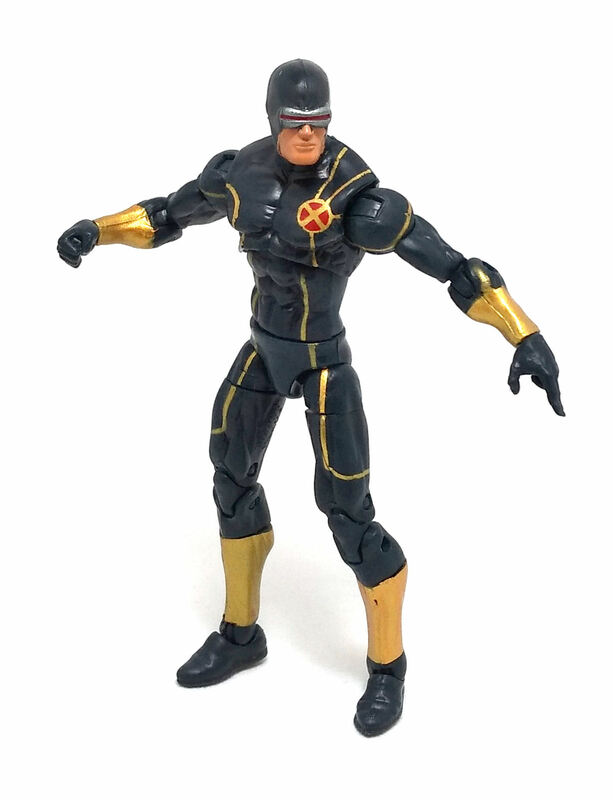 Is was not too long ago that Hasbro gave us a 3.75 inch version of Cyclops in the Marvel Universe line, wearing the ever popular costume designed by Jim Lee, during his run as the penciler for the Uncanny X-Men comic book. 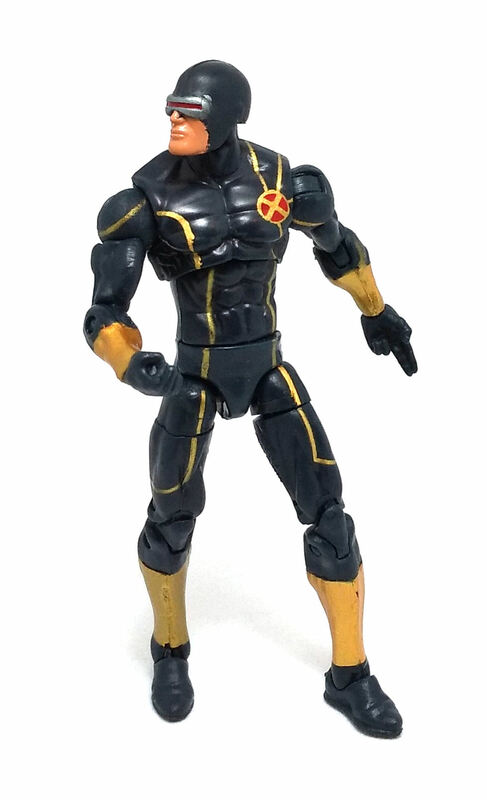 And that is why I found it odd that for the closing waves in the Marvel Infinite Series they decided to give that character another go, this time using the uniform seen mostly in the pages of the Astonishing X-Men comic book. 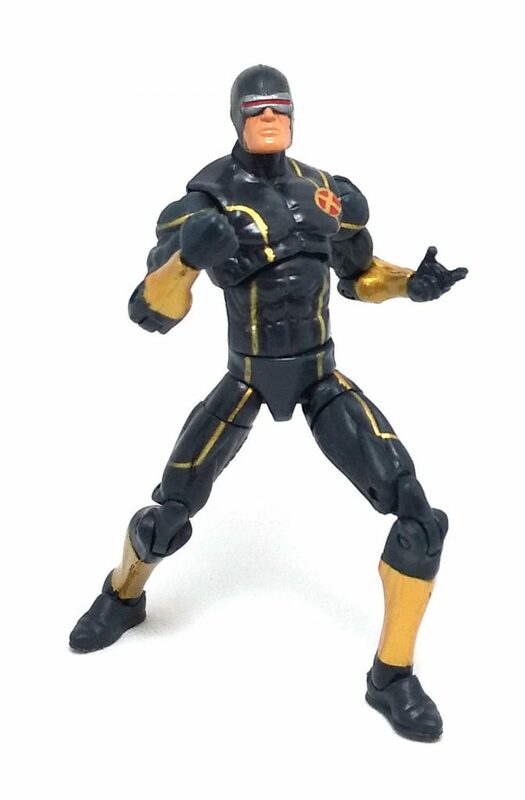 You’d probably be already familiar with this look, as Hasbro already produced an Astonishing Cyclops action figure with this costume design for the 6 inch Marvel Legends line a couple years ago. Given that the uniform is accomplished entirely by the paint applied onto the generic body mold, I would have liked the deco to be more detailed. As it stands, the golden lines on the uniform are irregular and often have different thickness and coverage issues; also, the golden paint apps around the calves and forearms should have thins black lines on them to simulate separate bands. 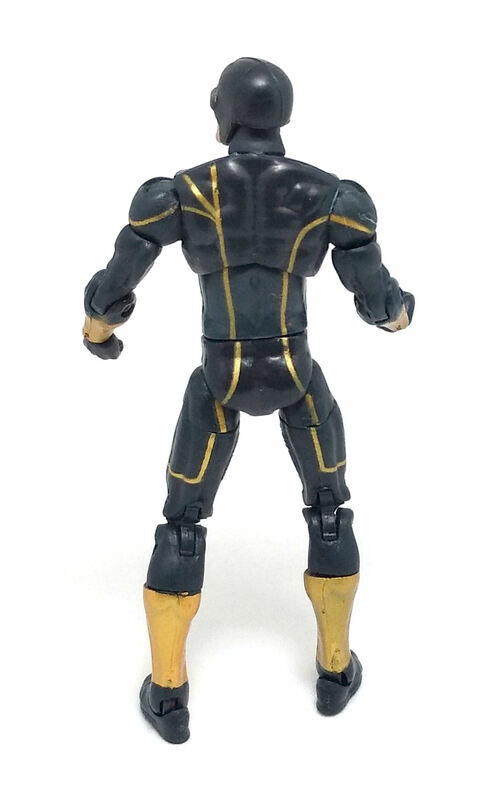 The head decoration fares a bit better, but not by much; the edges of the flesh colored paint on the face don’t quite stay within the sculpted lines, but at least the visor and the X-sigil on the chest look well painted. 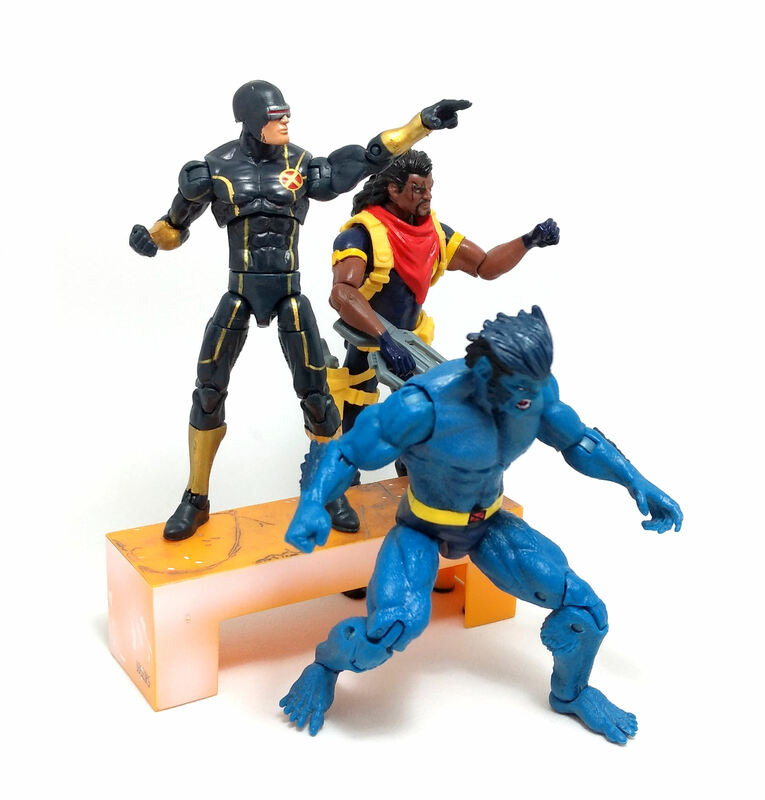 At this point in the line, accessories were considered too much of an added cost for these figures, so Cyclops gets absolutely nothing. 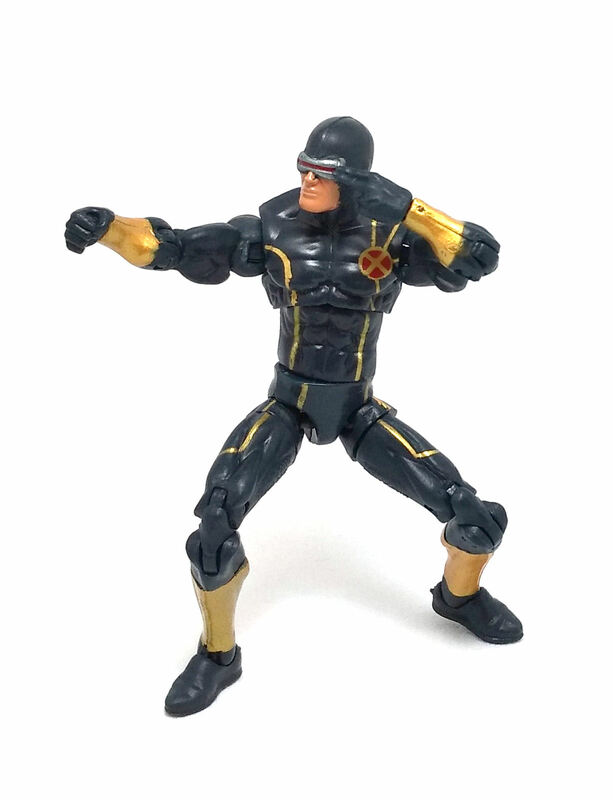 In the end, I feel that the rating for this wee Astonishing Cyclops figure would depend greatly on how attached you are to the source material. With that in mind, I certainly don’t regret having this version in my collection.